Elaine has worked over 28 years in health and social care initially as a social worker and later over 16 years as a senior manager within the NHS and Social Care. She has worked in a range of organisations including Help the Aged, Richmond Fellowship, National Autistic Society and several local authorities, PCT and CQC. Elaine established the North East Autism Consortium and later joined the Department of Health as the Ministerial Advisor for Autism for two and half years where she supported the development of the autism strategy “Fulfilling and Rewarding Lives”. 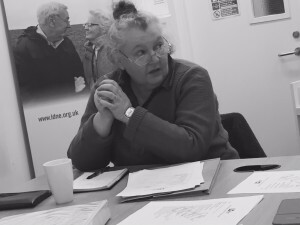 Elaine joined LD:NorthEast in late 2013 as a trustee and has since become the chair. She is currently working as a freelance consultant. Brenda and has been involved with LD:NorthEast as a volunteer and board member for some five years. She has two sons on the Autistic spectrum and lives with them and their father in Benton, North Tyneside. Her older son receives personalised support from LD:NorthEast. She has been a founder member, trustee and secretary of Parent Teacher Associations at Woodlawn and Glebe special schools. Before family commitments she worked in public relations, advertising and marketing. Hopefully the skills and experience she has acquired both in her career and as a parent and carer make her a useful part of the board. 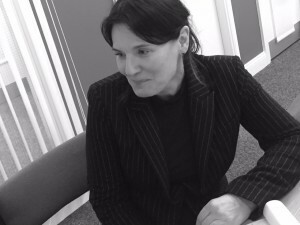 Amanda became a trustee at LD:NorthEast in November 2013 following a move from Leeds to Tynemouth. Amanda has a passion for supporting people with a learning disability and brings to the board a mix of social care and marketing expertise. She currently works for a leading care agency. 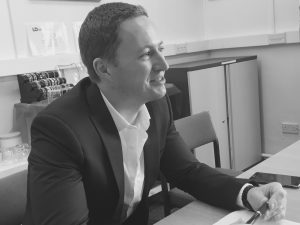 Alex has over 10 years’ experience of fundraising in the charity sector, having worked with a wide range of organisations, small and large, local, national and international. Health, social care and disability have been particular areas of focus in his career, having worked for the National Autistic Society for several years and now working with several charities in these sectors as a consultant. In November 2013 Alex established KEDA Consulting to help charitable organisations to increase their income, increase their social impact and better demonstrate their impact. Alex lives with his wife and two sons in Forest Hall and became a trustee at LD:NorthEast in February 2016. 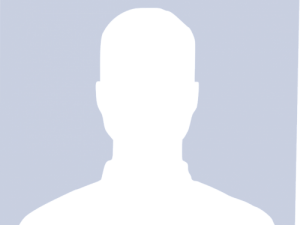 Jeff was employed in the local government finance sector as a qualified accountant for well over 40 years, working for local North East councils and regional representative bodies. He was appointed as a Trustee after joining LD:NorthEast as a volunteer earlier in 2016 and hopes that his financial background will help to make a valuable contribution to the work of the organisation. Jeff is from the North East and currently lives in Tynemouth.